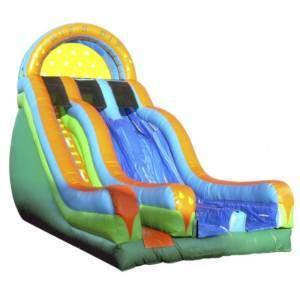 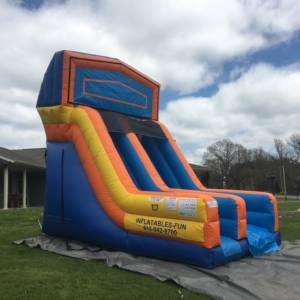 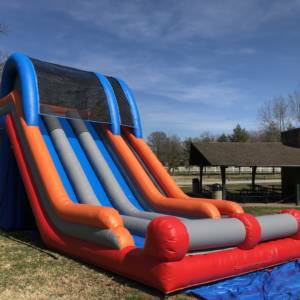 20’ DUAL LANE SLIDE Our most popular dry slide around. 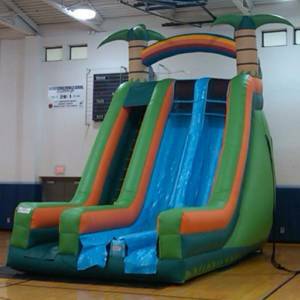 Towering at 20’ tall, the kids climb the center stair case and then turn left or right to choose one of the slippery slopes to slide down. 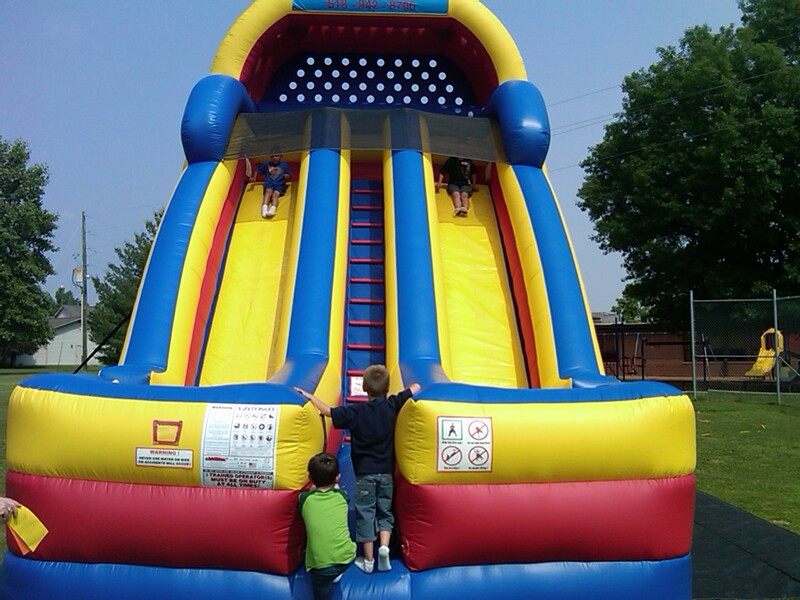 The slides exit to the sides of the unit to keep traffic flowing. 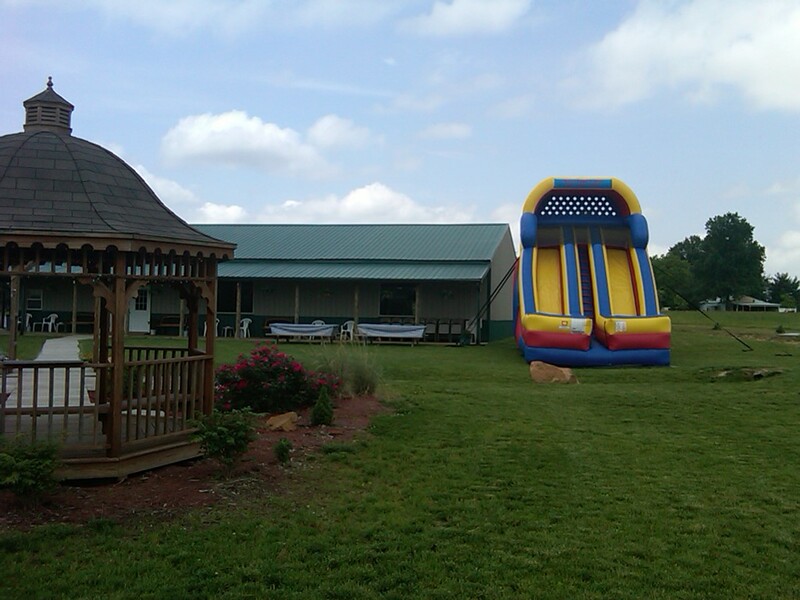 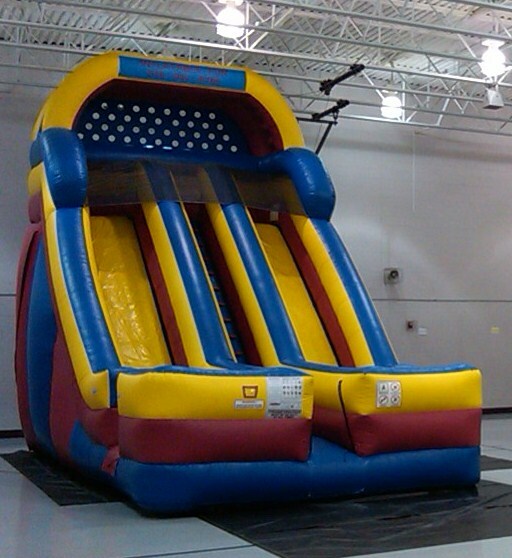 This unit is great for large parties where there are a lot of kids lining up to play. 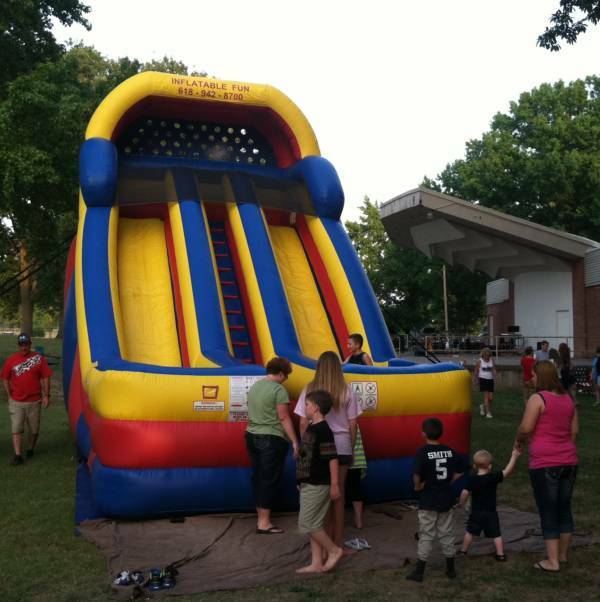 Schools, civic events, churches, and even back yard parties take advantage of the thrill kids get climbing to the top and sliding to the bottom. A can’t-miss hit for your event.